No events are planned right now, but check back soon! 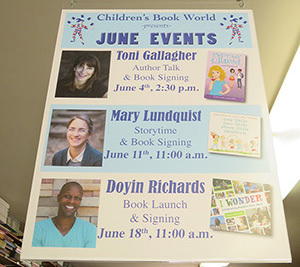 SEE & READ ABOUT TONI'S PAST EVENTS! 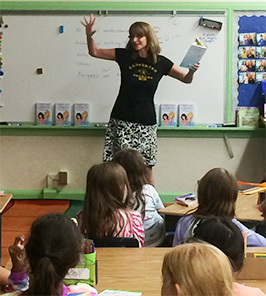 A classroom full of kids in pajamas came to hear me read some of TWIST MY CHARM: THE POPULARITY SPELL at an after-school reading event. 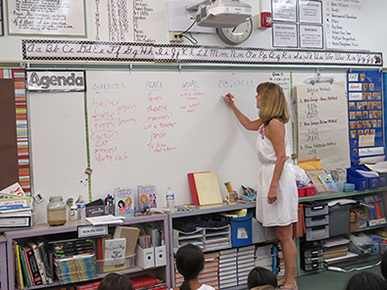 Then the kids shouted out ideas for characters, places, goals and obstacles, and they all left with a story idea they could write on their own. 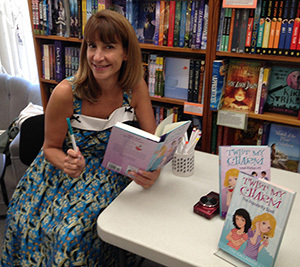 Mysterious Galaxy invited me back to read and sign my second book on June 11, 2016. 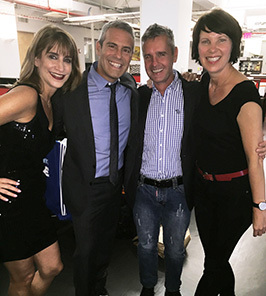 It was great to see old friends and make some new ones. 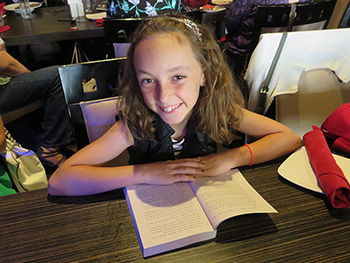 I went to lunch with a writing group called Go-Be-Write, but my friend's daughter wasn't interested in the conversation -- she started reading the first book! 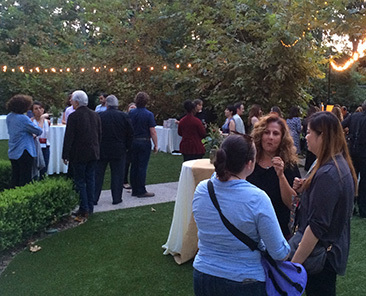 Another great gathering of friends old and new! 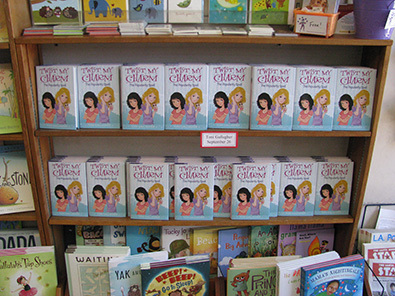 It was exciting enough to have my first book available online and in bookstores. It's hard to describe the feeling of having two! 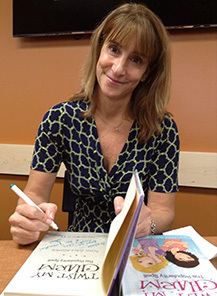 As a new author, I was honored to be invited as a featured author at the SCIBA Trade Show Authors' Reception. 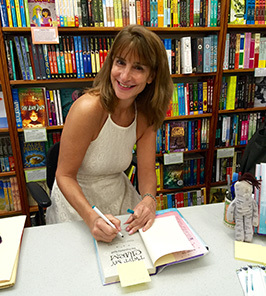 It was great to meet California booksellers as well as publishers, agents, librarians, and over 30 other authors. I even think I made a few new friends. Vegas, baby! 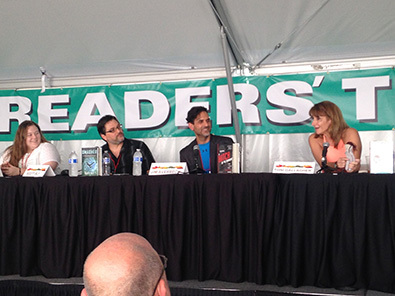 On October 17th, 2015, I spoke on my first author panel at the VEGAS VALLEY BOOK FESTIVAL. I've been going to Las Vegas regularly for the past 20 years since my parents moved there, but I had no idea what a literary city it is. 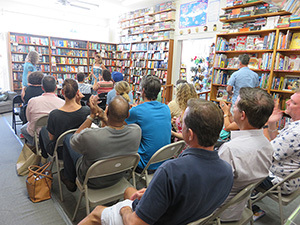 I got to share stories with the other visiting authors, in addition to meeting local writers and the owners of the cool independent bookstore THE WRITER'S BLOCK. I'll be back! 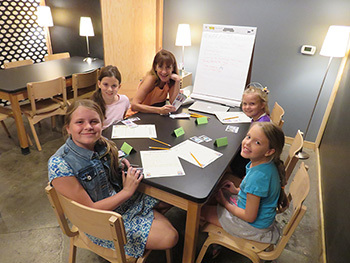 On Sunday, October 4th, I had an event at Mysterious Galaxy. Several friends I hadn't seen in years turned up at this wonderful store tucked in a mall in San Diego. And someone I didn't know, an aspiring writer, liked my reading so much he joined us afterwards to ask more questions. 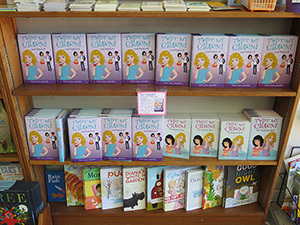 I sure hope to go back for LOVE POTION #11! 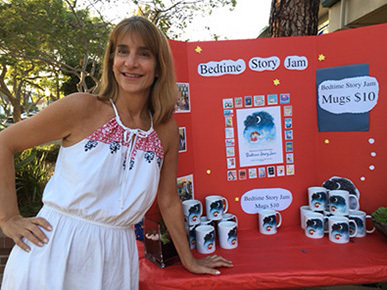 On Friday, October 2nd, Carpenter Community Charter School in Studio City, California hosted a Read-a-Thon / Pajama Party. 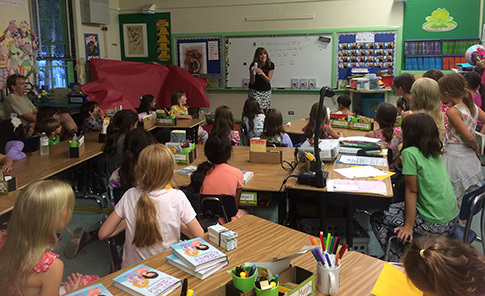 My first reading at a school! 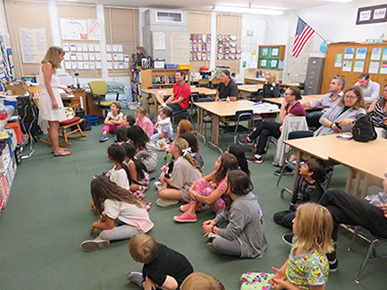 The room was jam-packed with kids in pajamas. 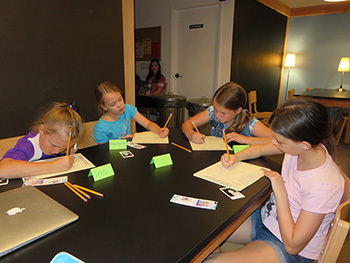 They all liked to read and some even wanted to be writers when they grow up. 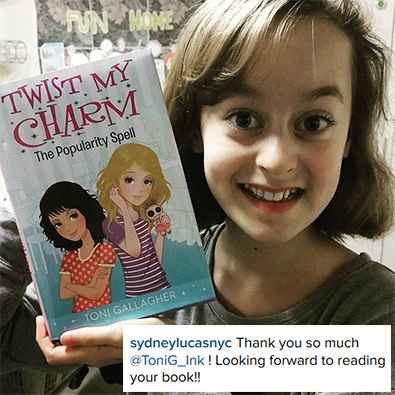 I hope my fun speech inspired them, and they all seemed to look forward to reading TWIST MY CHARM! 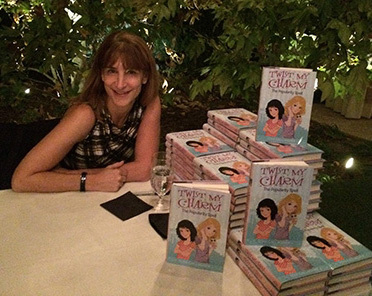 On Saturday, September 26th, I had my official launch party for the book. 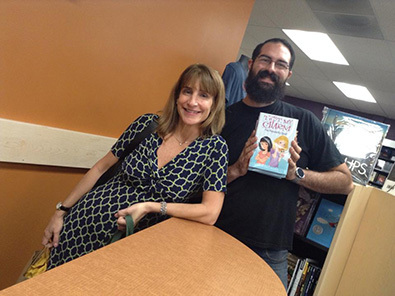 Just like I'd hoped, my friends helped me blow the roof off of Children's Book World in West Los Angeles. 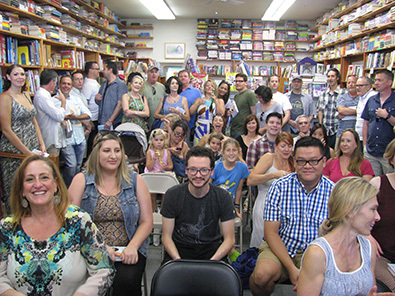 More than 70 people attended and almost all the books sold out. 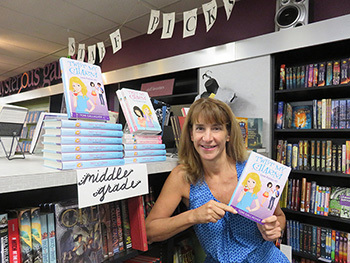 I was surrounded by so much giddy joy; it was truly one of the best days of my life! 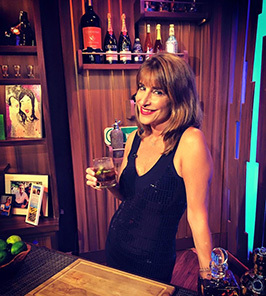 On September 21st, 2015, I was on Andy Cohen's talk show Watch What Happens Live! 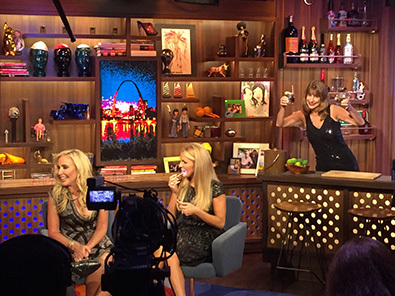 It was so exciting to appear on this Bravo show in NYC. (Note: I never wear that much makeup!) 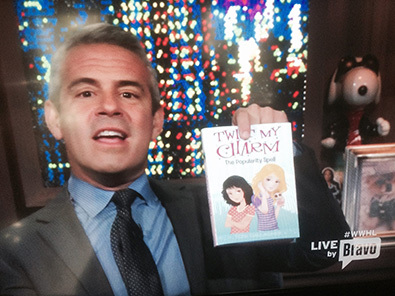 The biggest thrill was the host Andy Cohen holding up TWIST MY CHARM: THE POPULARITY SPELL several times.